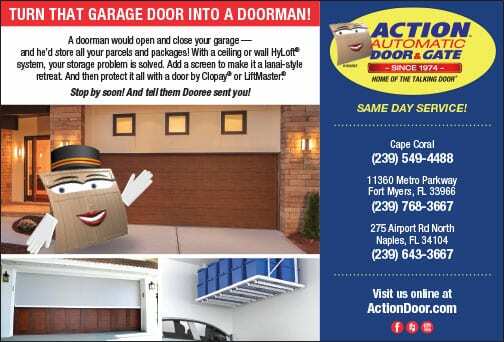 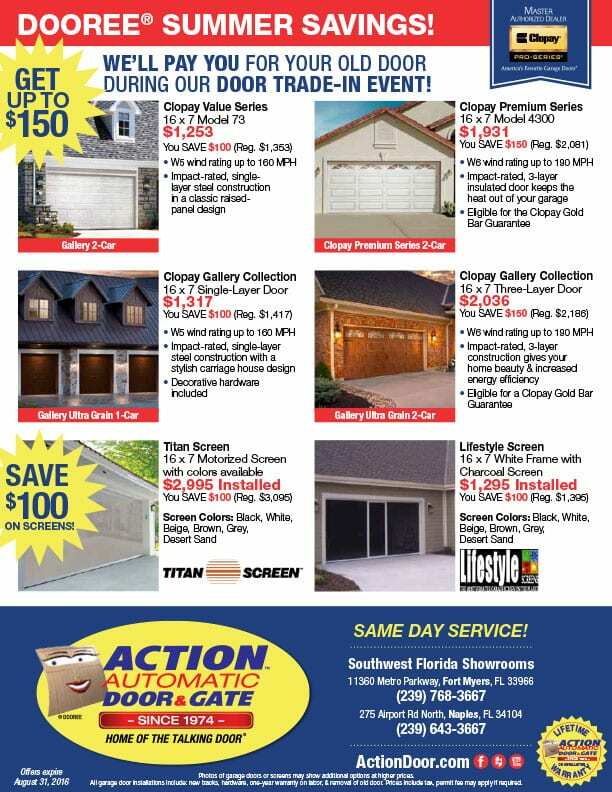 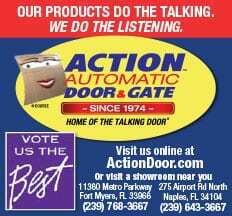 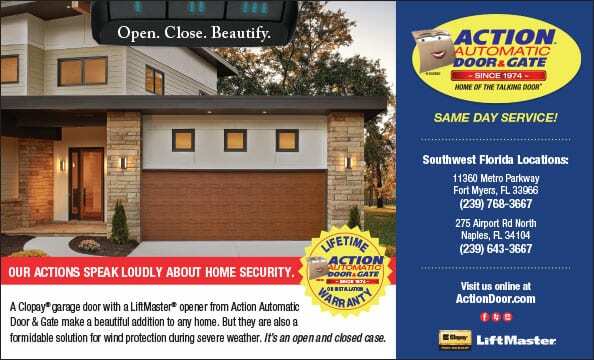 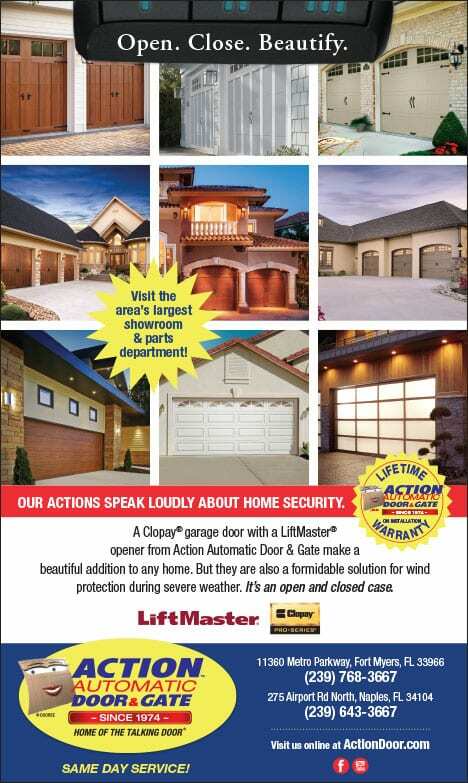 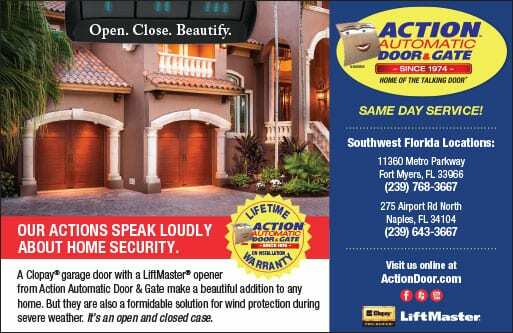 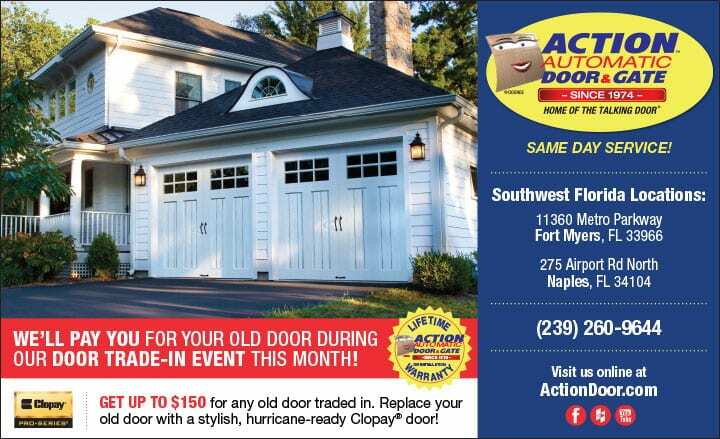 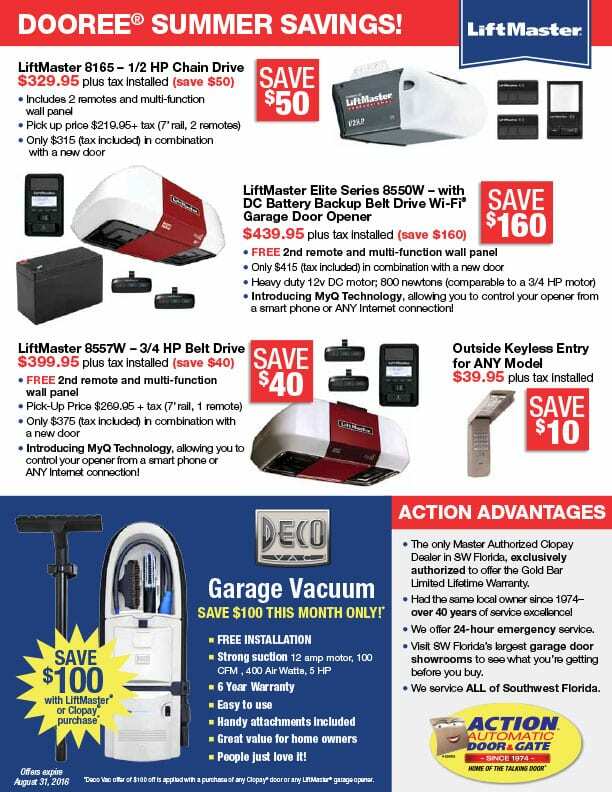 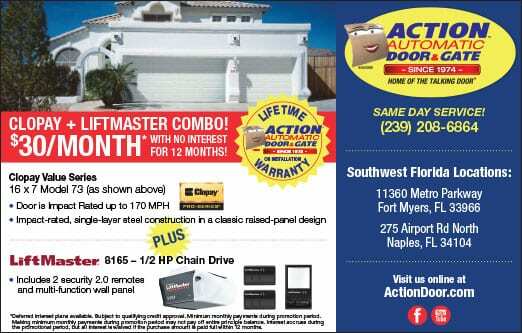 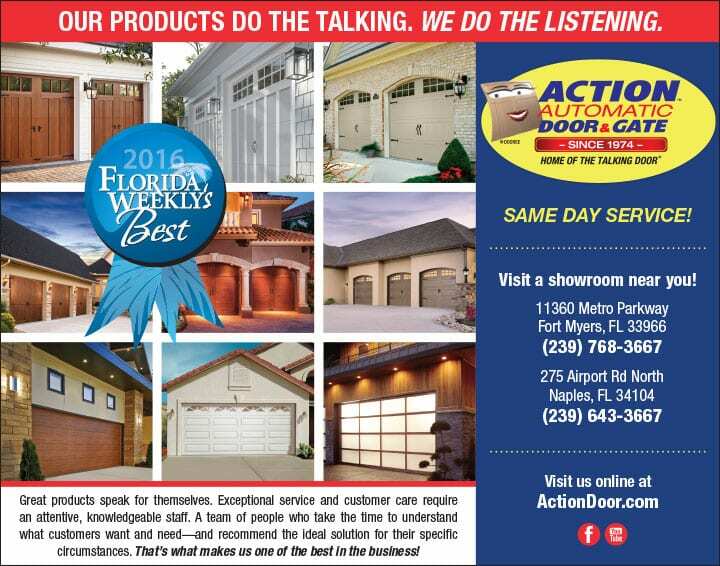 Action Automatic Door & Gate is Florida Gulf Coast’s go-to source for residential and commercial garage doors, gate systems, security gates, and any associated repairs, service and parts. 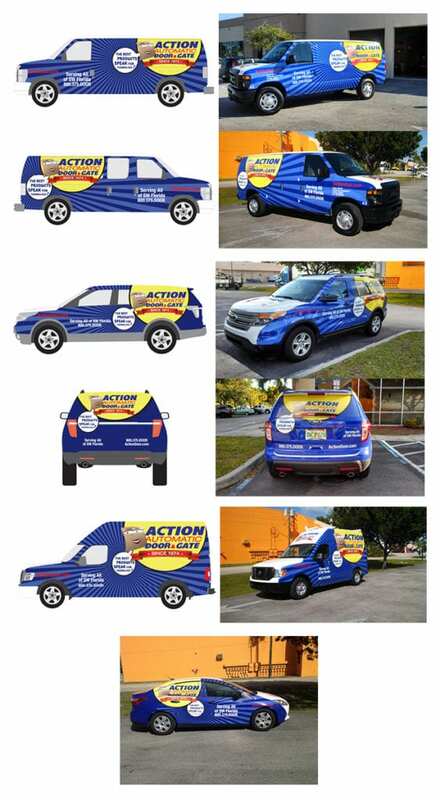 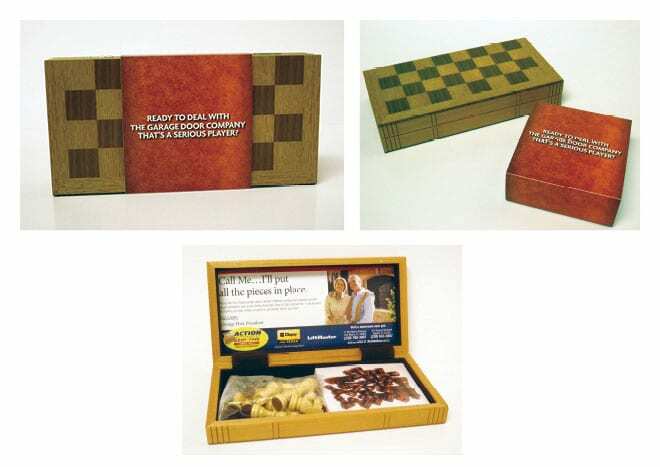 Spiro & Associates has been working with Action Automatic since 2013, designing and developing an array of materials from fleet graphics, TV and video scripts, to print and online ads, websites, site signage, brochures and sell sheets. 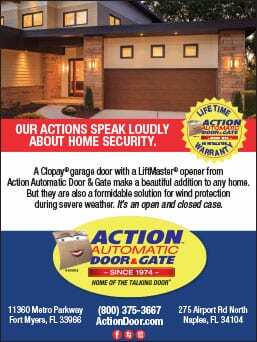 We also provide ongoing public relations services that garner publicity in the local media and regional trades publications.